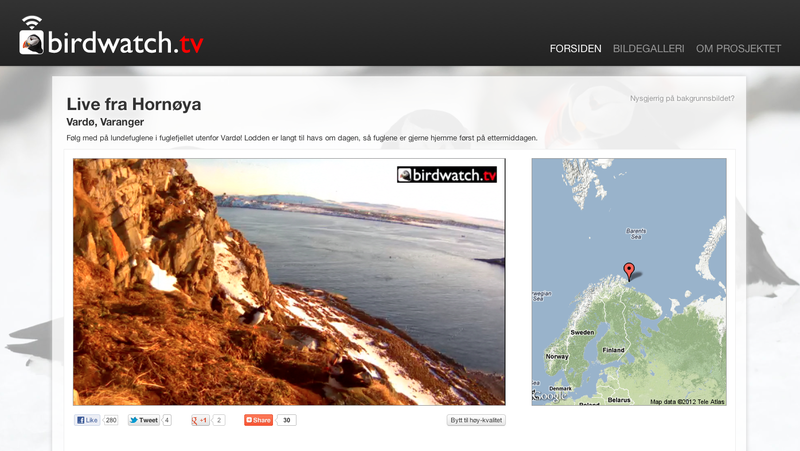 Biotope just launched the Hornøya bird cliff web camera - our latest project, produced in collaboration with IT-specialists Eivind Bøhn and Reidar Øksnevad of Cloudware. 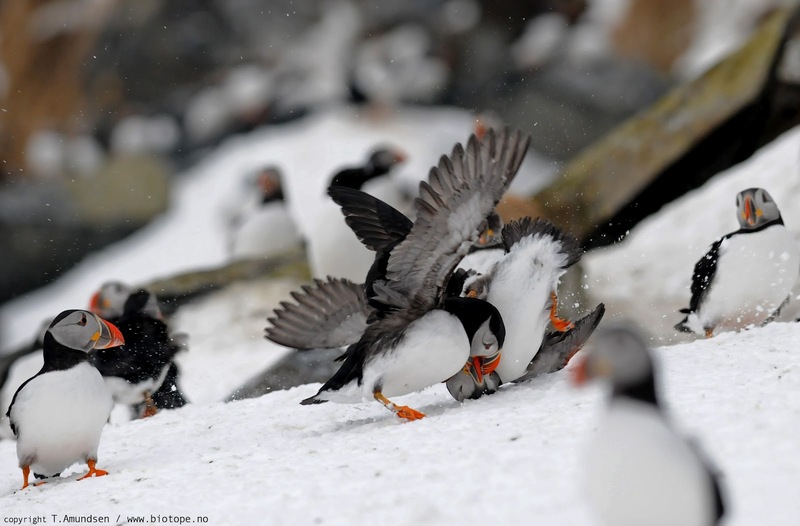 We now have the pleasure of inviting you to follow the Puffins and alcids on Hornøya, Vardø. The web camera system (from hardware solutions to online broadcasting system) is produced by Biotope and Cloudware. Feel free to contact us for more information. 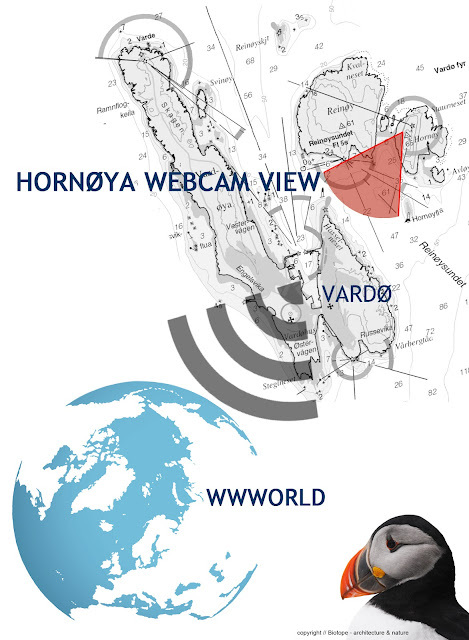 The web camera was supported by the Norwegian Directorate for Nature Management, www.varanger.com and Vardø kommune. Screenshot from the webcam taken 21.April 2012, evening. The web camera was launched at the GullFest 2012 - the Arctic first ever Arctic birding event in Varanger. Articles to come soon on www.biotope.no on Gullfest. 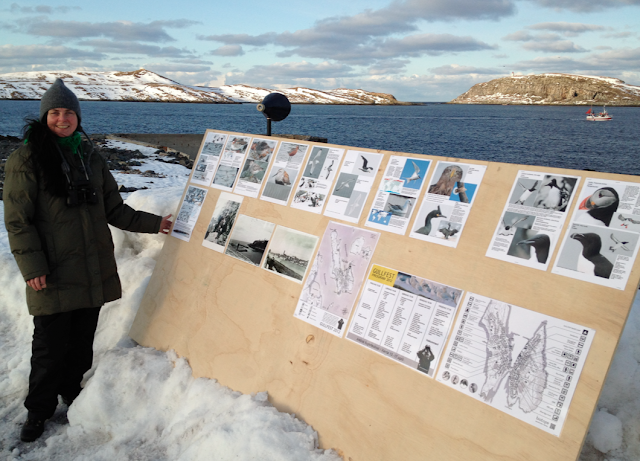 Photo from the Gullfest base camp. Hornøya in the background - home of 100 000 seabirds. The web camera is situated to the left of the lighthouse, almost on the top of the bird cliff, with Vardø town in the background. The Hornøya web cam - Varanger birding to the wwworld. 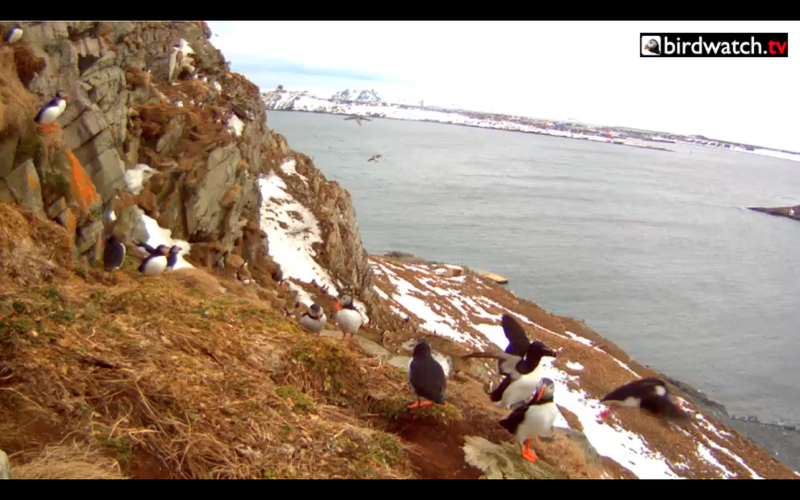 See previous Biotope article on the web cam - adventures in destination development. 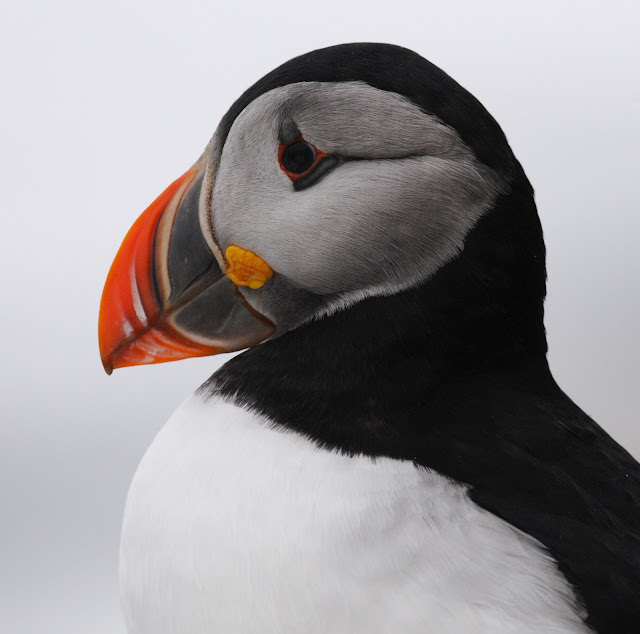 The Puffins are usually out fishing during the day, and spend the evenings resting at the bird cliff.